NCECA International Residency Partner Program – Applications Due February 5! Greeting NCECA members and Happy New Year! 2014 will be an amazing year for NCECA and particularly for our International Residency Partner Program. This year, NCECA will be joining forces with The Banff Centre in Banff, Canada and the European Ceramic Workcentre in ‘s-Hertogenbosch, Netherlands. This is the first time we have partnered with Banff Centre and only the second time we have partnered with the European Ceramic Workcentre. Both of these respected programs offer stellar facilities and a stimulating creative space to pursue experimental directions in your work, or maybe a project that has been brewing in your head recently. I would suggest researching both residency centers to determine which would be a better fit for your proposal. One significant change to this year’s program was NCECA’s desire to help support the residency awardees with a more substantial financial award. We have done this by offering two residency opportunities instead of three, and we have asked our residency partners to provide a greater level of in-kind support. Our goal in doing this was to lessen the financial burden on the artists, and clarify a funding model for this program that reflected an equitable partnership between NCECA and our residency hosts. This opportunity is just another way that NCECA is working to provide value for your membership in our organization. The lucky artists selected for these two opportunities will undoubtedly have an unforgettable experience working abroad. 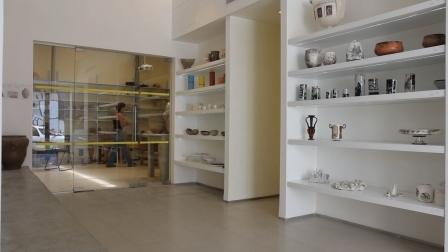 Our ultimate goal is to promote the ceramic arts and education on a global level, and encourage a rich cultural exchange for our members and partners abroad. Don’t forget, the deadline to apply is February 5! I have been working in functional pottery for 15 years. I have always been interested exploring a more sculptural side to my art. I have found as my buisness grows it is harder to get back to the sculpting I did in college. I would be thrilled to have an opportunity to focus more on sculpture but also allow my functional pieces to be influenced in new ways. It sounds good, NCECA announced two new residency programs. but i am wondering how one can apply for these programs? Would i have to be a member of NCECA to apply for this or what would be the way? If anyone knows, do let me know.